Speaking to the press for the last time in 2016, President Obama addressed a range of issues, but he focused primarily on two: the horrific ongoing humanitarian crisis in the Syrian city of Aleppo, and recent reports that the CIA believes the Russian government hacked the Democratic National Committee and the email account of Clinton campaign manager John Podesta. And while he's absorbed criticism for not making more noise about the hacks at the time, he didn't backtrack in his final presser of the year. 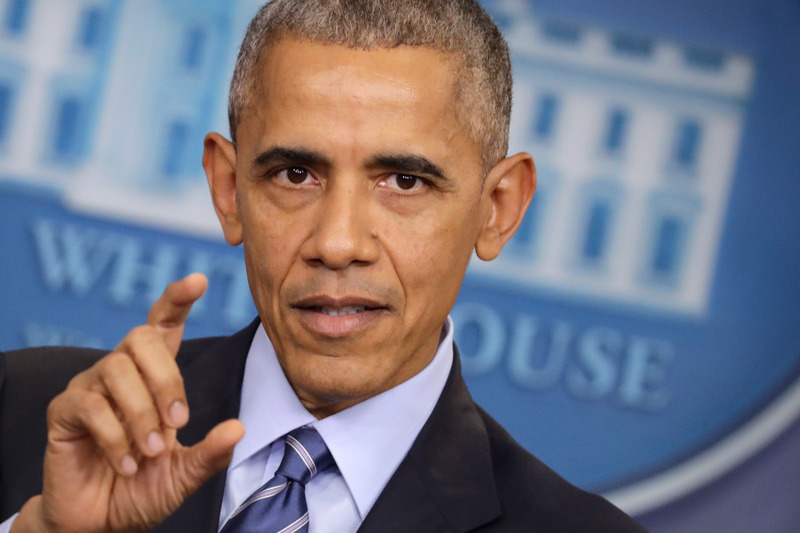 Obama defended his response to Russian hacking during the campaign, insisting he did the right thing in view of Republican threats that he'd be accused of playing partisan politics if he spoke out more forcefully or specifically. It's an understandable reaction, in the aftermath of a tumultuous campaign season that ended the way a sizable majority of American voters didn't want it to ― Trump is the president-elect, by virtue of winning the states he needed to, popular vote total be damned. We publicly announced the fact that Russia had hacked into the DNC. At that time, we did not attribute motives or any interpretations of why they had done so, we didn't discuss what the effects of it might be. We simply let people know, the public know, just as we had let members of Congress know, that this had happened. And as a consequence, all of you wrote a lot of stories about both what had happened, and then, you interpreted why that might have happened and what effect it was going to have on the election outcomes. We did not. And the reason we did not was because in this hyper-partisan atmosphere, at a time when my primary concern was making sure that the integrity of the election process was not in any way damaged, at a time when anything that was said by me or anybody in the White House would immediately be seen through a partisan lens, I wanted to make sure that everybody understood we were playing this thing straight. That we weren't trying to advantage one side or another, but that what we were trying to do is let people know that this had taken place, and so if you started seeing effects on the election, if you were trying to measure why this was happening, and how you should consume the information that was being leaked, you might want to take this into account. And that's exactly how we should've handled it. Needless to say, this explanation won't soothe all of Obama's critics, but from the simple perspective of playing everything out in your head, it makes a lot of sense. It's absolutely true that alleged Russian interference in the campaign was not subtle or unheard of in the months leading up to Election Day ― Clinton herself raised the issue during a nationally televised debate, inducing Trump to insist that American intelligence agencies "have no idea" who committed the hacks. If you try to seriously imagine how things would've played out had the Obama administration taken a more aggressive tact, it's trivially easy to conjure up the Mitch McConnell press conference already, all full of bluster and indignation about a Democratic president putting his finger on the scales. In short, it was a hugely fraught situation, and obviously people can disagree about how Obama should have proceeded. But to hear him tell it, he wouldn't do it any differently.